A Switch coffee maker - such as Mr Coffee's or Proctor Silex 43501 12-Cup White Coffeemaker is one that makes coffee but has no programmable features and all the bells and whistles of the more advanced coffee makers. Some non-programmable 12 cup coffee makers are just a few dollars cheaper that their programmable relatives even of the same brand. Why then would someone buy a basic Switch coffee maker, when you can for almost the same price obtain a programmable coffee maker? This is somewhat of a mystery to me. But some people, apparently, just prefer the plain, basic coffee makers; may be programmable coffee makers are just too overwhelming for them. Perhaps the programmable features are too complicated and confusing. Indeed, if someone happens to prefer a Switch maker, please enlighten us and share your thoughts why you prefer that over a programmable machine that automates the process and makes things more convenient for you. However, I can also see people preferring the basic coffee machines because of the malfunctioning problems and durability issues that may be associated with programmable features going awry as is reflected by so many online coffee maker reviews. One basic coffee maker that I owned ('till it dropped down and the carafe broke -- as happened to me with more than one coffee maker! 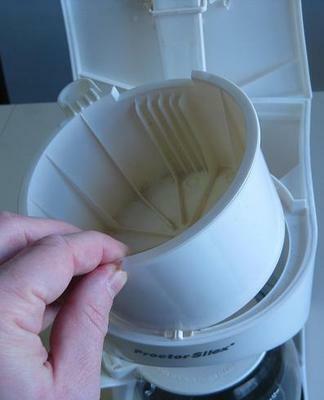 - rendering it useless) was the Proctor Silex 43501 12 cup coffeemaker. 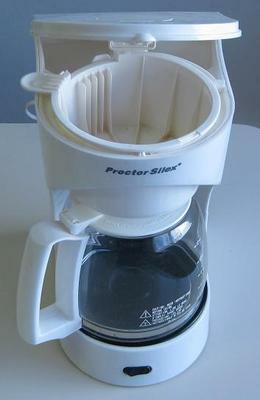 The main advantage I can see with the Proctor Silex® 4-to-12 cup coffeemaker model #43501 is that it is cheap. I got it for less than $15. It may be your choice if you're not too particular about coffee and are on a low budget. 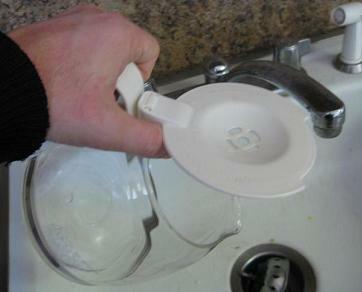 It is just a plain, very basic coffeemaker, no programmable features. No heating plate, no auto shut-off (you'll need to turn it off manually). Makes coffee, but not very hot.